There has been a lot written lately about the hazards of common cleaning chemicals. Some clients have inquired about switching to “green” cleaning products that have less of an impact on the environment. At All Bright Janitorial Service, our answer is always the same: We will use any cleaning products you want. The choice is entirely yours. If you want to switch to more environmentally safe chemicals to clean your office or workspace, we can recommend some high-quality products that will get the job done while minimizing our carbon footprint. Using environmentally “safer” cleaning products obviously benefits the planet. But there are other advantages as well. For example, some businesses can use the fact that their offices are cleaned with green cleaning products as a promotional tool. Including this pro-environment fact can help boost your business’s reputation in the community and among customers. It’s also good for your peace of mind. When you know that the cleaning products your janitorial service is using are less likely to cause permanent harm to the environment, it can make it easier to sleep at night. 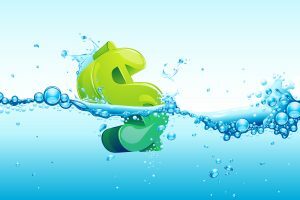 It used to be true that “green” cleaning products cost a lot more than traditional cleaning chemicals. So if you wanted to “go green” with your cleaning supplies, you could expect to spend a lot more money. But the fact is that because so many companies are opting for environmentally safer cleaning products, the market has responded and there are now many more products available. Today, there are a lot of environmentally safer cleaning products available that will do just as good a job — if not better — at cleaning and sanitizing your workplace while minimizing your environmental impact. If you want us to start using them, all you need to do is ask.